Magnesium and calcium are among the most important essential minerals and they are always synchronized in order to make numerous functions in the human body possible. One must always have a balanced amount of calcium and magnesium, because deficiency or even excess of either mineral can be associated with severe medical conditions. They are of utmost importance when it comes to proper development, strength, growth and health of the muscles and bones. They need to be incorporated into the daily diet. Calcium is the most important factor when it comes to the development of the teeth and bones. It is also very efficient in regulating the heart rate and maintaining a healthy blood count. Calcium is also an important factor when it comes to regulating the transition of nutrients through the cellular membranes, maintaining proper metabolic activities, promoting the clotting of blood, regulating the body temperature, reducing the levels of bad cholesterol in the blood and preventing colon cancer. Magnesium is actually a balancing nutrient as it naturally aids the process of calcium absorption in the human body. It is the key factor in more than 300 different types of enzymatic systems in the human body and it plays a vital role when it comes to the production of energy. Without magnesium the metabolism of vitamins and several other important processes in the human body would not be possible. When a person suffers from a lack of these two essential minerals, he or she may experience symptoms such as weakening of the bones, osteoporosis, weakening of the muscles, kidney stones, various menstrual problems, rickets and numerous other sorts of medical conditions. 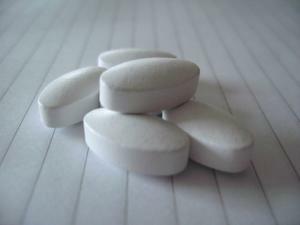 Those who cannot consume enough magnesium and calcium by means of a regular diet need to use calcium and magnesium supplements. Those are usually people who suffer from hypertension or lactose intolerance. The supplements are combined in a ratio of 2:1, in favor of calcium. The supplements also contain other important nutrients such as phytovitamins, zinc, kelp, copper, dulse, vitamin C, alfalfa, vitamin D and boron. Daily requirements of calcium are around 1000 milligrams. A person needs to ingest up to 266 milligrams of magnesium each day, on a regular basis. The supplements commonly include calcium malate, calcium citrate and calcium aspartate which are usually obtained from various natural sources. These supplements usually come in the form of liquids or tablets. One should always consult a doctor before taking them.